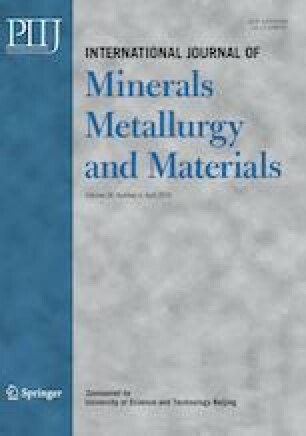 Monodispersed microsized copper oxalate particles were prepared in a segmented continuous flow tube reactor, and the effect of the main parameters such as organic additive agent, initial copper ions concentration, residence time, and segmented media on the final products were investigated experimentally. The obtained copper oxalate microsized particles were disc-like in the presence of citrate ligand, which was the shape inducer for the precipitated copper oxalate. Thermodynamic equilibrium diagrams of the Cu(II)-oxalate-H2O, Cu(II)-oxalate-citrate-H2O, and Cu(II)-oxalate-EDTA-H2O solution systems were drawn to estimate the possible copper species under the experimental conditions and to explain the formation mechanisms of copper oxalate particles in the segmented fluidic reactor. Both theoretical and experimental results indicated that the presence of chelating reagents such as citrate and EDTA had distinct effect on the evolution of particle shape. Air and kerosene were tested as media for the fluidic flow segmentation, and the latter was verified to better promote the growth of copper oxalate particles. The present study provides an easy method to prepare monodispersed copper oxalate microsized particles in a continuous scaling-up way, which can be utilized to prepare the precursor material for conductive inks. S.J. Haswell, R.J. Middleton, B. O’Sullivan, V. Skelton, P. Watts, and P. Styring, ChemInform abstract: The application of micro reactors to synthesis chemistry, Cheminform, 32(2010), No. 23, DOI: https://doi.org/10.1002/chin.200123238.